You'll be £24.00 closer to your next £10.00 credit when you purchase Combat Codes. What's this? From the inception of the RAF in 1918 the new service developed traditions fast. In particular, its squadrons assumed a combination of heraldic devices and colourful markings with which to identify machines and inspire men. With the potential onset if war in 1938, the very public and well-known unit markings were replaced by two-letter codes, designed to confuse the enemy. Through the uneasy period leading to the formal declaration of war, these codes became well-known locally and there was a second set for application with the onset of war. As the war progressed the unit codes expanded to incorporate numerals and the system expanded to the USAFF and the Commonwealth and the Allied units. To preserve secrecy the codes were only ever listed in a series of top-secret documents and the previous set destroyed. The authors have painstaking researched the codes and building on from earlier works have produced the definitive work on the subject. Without a guide book such as this the squadron to which aircraft belonged would be a mystery. 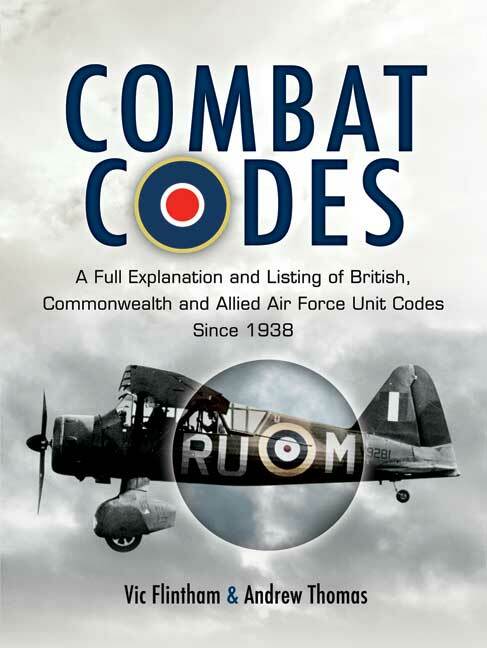 This marvellous publication relates the codes to squadrons aiding research into the operational aspects of the RAF. The authors have conducted an outstanding piece of detective work as the original top-secret official references to the coding system were destroyed. Given this, one can only marvel at the quality of their research. The book is lavishly illustrated and many examples of codes are given. One cannot praise the authors of this work sufficiently for their efforts in researching this publication. The authors have painstaking researched the codes and building on from earlier works have produced the definitive work on the subject. Very highly recommended!